Read our reviews, compare the options, buy with confidence. Electric knives are the true multi-purpose accessory, and not just in the kitchen – many crafters use them for cutting through foam, which can be unwieldy with scissors or hand-held knives. In the kitchen, they are an excellent aid for those with arthritis, or who lack manual strength, and ideal if you are doing a lot of slicing through thick joints or crusty, home-baked bread. The Cusinart CEK-40 comes in an attractive, rustic style wooden storage rack, with a butcher-block tray included, along with an instruction booklet. 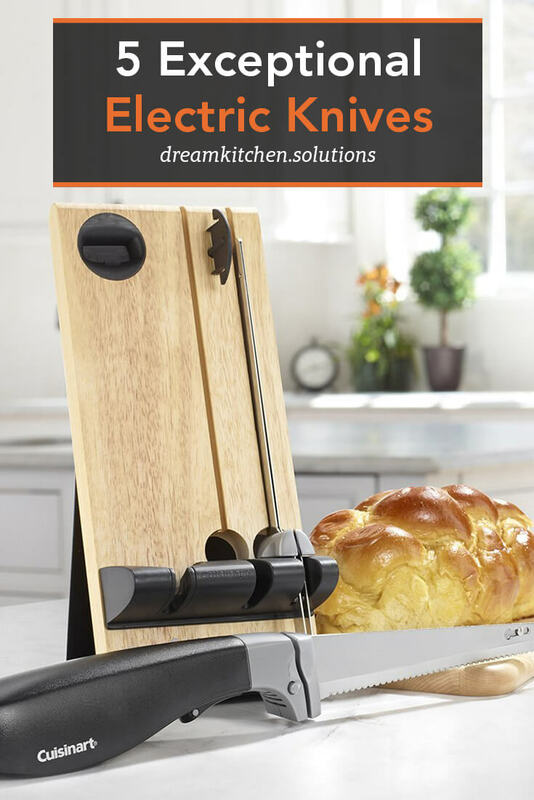 It features an ergonomic design, and two blades – a bread blade, for slicing through home-baked loaves, and a carving blade, for roast birds and joints of meat. A blade lock holds the blade securely in place during use, making the knife perfectly safe and easy to use. One of the major drawbacks of this knife is that the internal gears are plastic, meaning that, if the knife gets a lot of use, the gears will end up stripped through fairly quickly. It is a little under powered for regular kitchen use, although it would be fine for occasional or craft purposes. The 74311 Easy Slice, from Proctor Silex offers a hand-contoured grip, but, again, doesn't seem to give much power. The operating buttons are also awkwardly placed, and the blades wear out quickly, with replacements being expensive to purchase. The Easy Slice, therefore, is probably best suited to a one-off craft project, or to take to self-catering holiday accommodation if you're not certain that carving and/or bread knives will be provided. The 74250 Carve 'N' Set, from Hamilton Beach, comes with a space-saving storage case, and offers a non-slip trigger. However, the knife handle can become very slick and slippery when cutting greasy joints, and also runs very hot during use, which is an understandable safety concern for many people. Another safety concern is the lack of a blade lock, meaning that the blade moves around a fair bit during use. The Black and Decker EK700 (yes, they make kitchen appliances, as well as tools!) 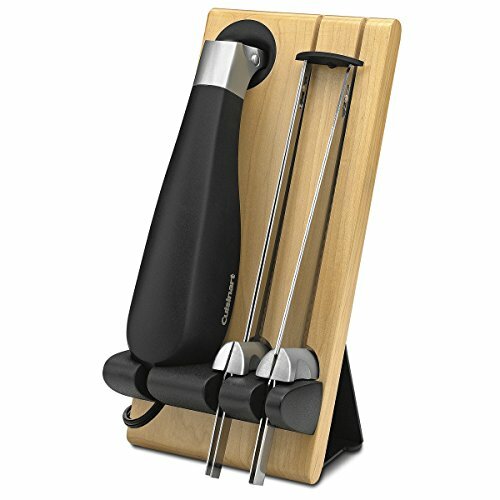 comes with a full safety lock, and the blades are dishwasher safe, which is ideal if you've been doing a lot of greasy meat slicing. It also features an ergonomic grip, which helps offset the heavy overall weight of the knife, which can be an issue for some people. 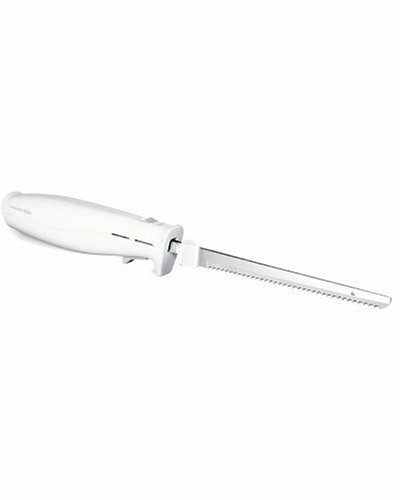 Also, as with other electric knives, the Black and Decker features plastic gears, which is not ideal in a high-power device. Finally, Elite Cuisine's EK-570B offers a sleek design, with a convenient eject button to detach the blade from the knife body after use, which can seem a safer option than actually having to handle the blade in order to remove it. This knife also provides the ability to slice to different thicknesses, which is great for people who do a lot of entertaining, and want to offer an attractive range of meats, for example. However, it is worth noting that the EK-570B is not ideal for boned roasts, and can be uncomfortable to use if you have small hands. Do I Really Need An Electric Knife? It may well be the case that you associate electric knives with your parents, or even grandparents – a clunky, rarely-used piece of equipment in a kitchen painted and accessorized in shades of beige, but that definitely isn't the case. 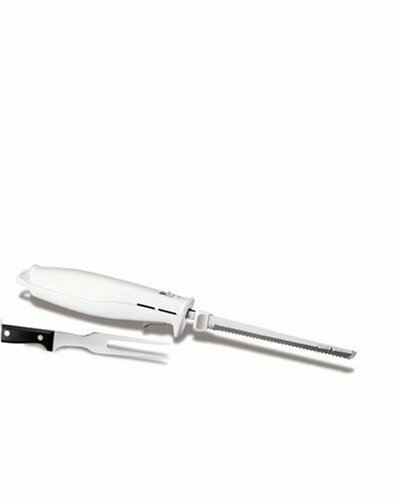 If you are a caterer, or someone who does a lot of entertaining at home, an electric knife is pretty much indispensable – no matter how young, fit, and strong you are, doing a lot of slicing and carving on a regular basis, with a manual knife, is going to hurt after a while. Likewise, if you're regularly preparing fresh meat from source, such as poultry or venison, a good-quality electric knife, that can handle boned meat, and with a blade lock, is going to be a useful accessory to have. Also, none of us know when we're going to develop issues with manual strength, or even simply sprain our wrist, or pull a muscle in our dominant arm – in these circumstances, using a manual knife will be difficult and painful, if not actually impossible: it's worth having an electric knife on hand before the unpredictable injury occurs! Did You Mention Craft Uses? Yes. 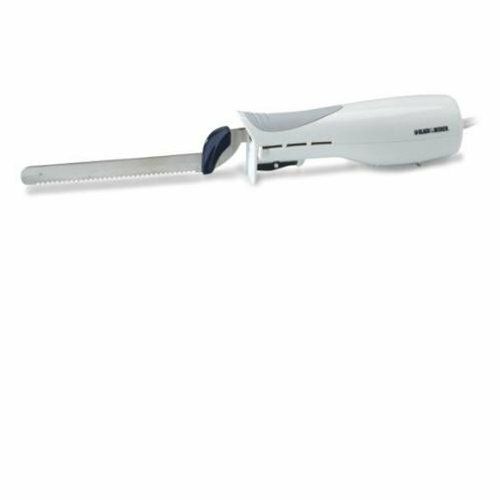 Most electric knives are an excellent investment for people who regularly need to cut foam, particularly, for craft projects – people who re-upholster furniture, or those who work with artificial floral displays, for example. Cutting foam with scissors or a handheld knife can be unwieldy, and time-consuming, so an electric knife is often considered a must have, cutting down on prep time, and enabling crafty folk to spend more time on the enjoyable aspects of their hobby or business. As a truly multi-purpose tool, an electric knife is a worthwhile investment, and a sign of someone who is prepared for the potential of inconvenient illness, infirmity, or injury, so it is definitely worth purchasing one – it never hurts to be prepared, and even if you never use it in the kitchen, you may find yourself taking up a new, and potentially profitable, hobby, since you now have the ability to quickly and easily cut up thick, dense, high-quality foam! Electric knives also tend to retain their blade sharpness for longer than traditional knives, and, of course, replacement blades can be purchased – with a manual knife, you either have to have, and be capable of using, a whetstone, or be prepared to throw out and replace a whole knife – which can be frustrating if you have a knife that is particularly comfortable to use. While an electric knife may not be something you'll use every day, it's definitely something you should have in your house – and you may find yourself using it more often than you ever thought you would! So, be prepared, and invest in an electric knife, whether your hobby is craft or culinary in scope.